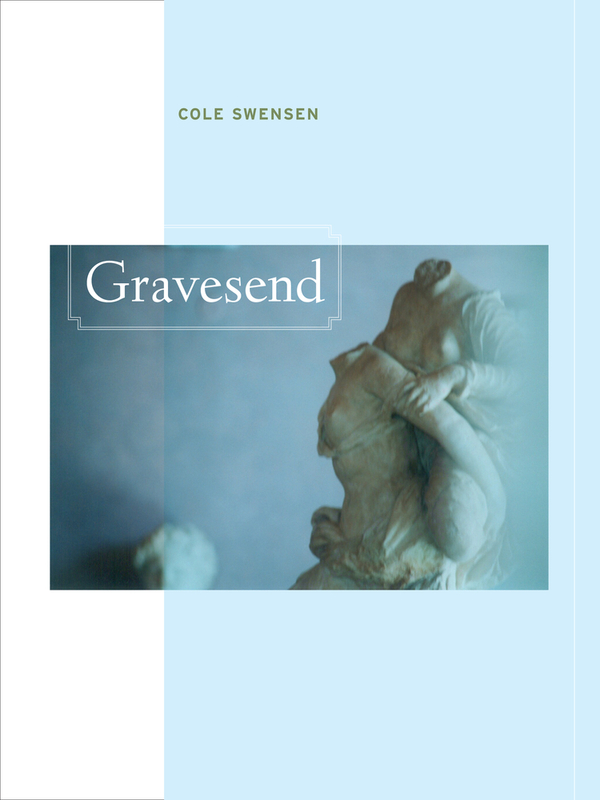 The poems in Gravesend explore ghosts as instances of collective grief and guilt, as cultural constructs evolved to elide or to absorb a given society’s actions, as well as, at times, to fill the gaps between such actions and the desires and intentions of its individual citizens. Tracing the changing nature of the ghostly in the western world from antiquity to today, the collection focuses particularly on the ghosts created by the European expansion of the 16th through 20th centuries, using the town of Gravesend, the seaport at the mouth of the Thames through which countless emigrants passed, as an emblem of theambiguous threshold between one life and another, in all the many meanings of that phrase. Cole Swensen is the author of twelve previous books of poetry, including the acclaimed Ours (UC Press). She is also coeditor of American Hybrid: A Norton Anthology of New Poetry and teaches in the Literary Arts Program at Brown University. One: Have you ever seen a ghost? Two: How did Gravesend get its name? Three: What do you think a ghost is?